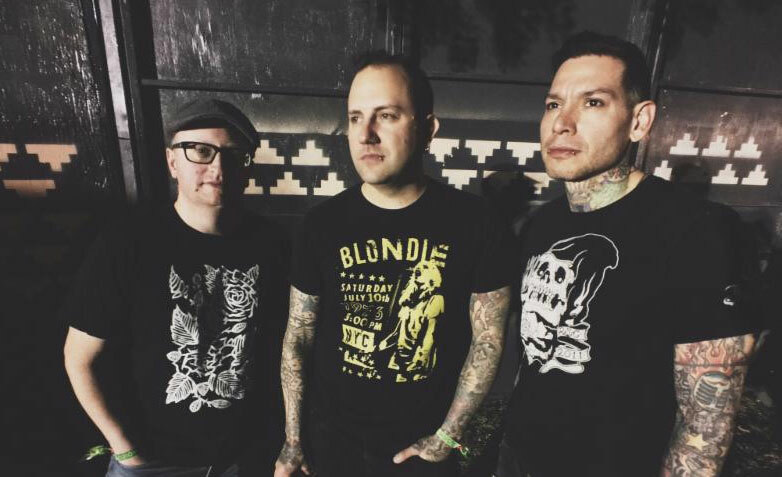 "Left Coast Punk Rock" band MxPx has had a frequently fluctuating status as a band for a few years now, with their future left uncertain many times. The trio also hasn't been back together officially for a while, but Yuri, Tom and Mike can't seem to stay apart for long, and this rings true now more than ever with the announcement of a brand new MxPx album! With this album, the band are not only self-funding the record, but they're making it without any record label involvement and are just having fun making music together once more. "We are so excited to finally announce our intent to record a new album!," the band announced in an email to fans this evening. "It's been long nights jamming out songs and we feel these are some of the best we've ever done." Of course, with this being their tenth studio album since their debut, Pokinatcha, back in 1994, the promise of this being "some of their best" may seem like a tall order. However, the guys continued with the announcement of a Kickstarter campaign and a batch of incentives. Their campaign goal is $50,000, but at press time, it's been a steady climb past $36,000 pledged! There's so much more I wanna say but for now, we're launching a KICKSTARTER campaign to help fund this endeavor. Please visit and watch the video-- and enjoy some creative things Mike, Tom, and Yuri came up with to help make this special." For more info on MxPx, visit the JFH Artists Database.